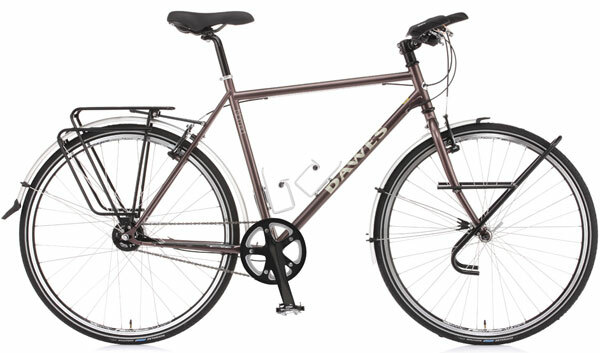 There are companies that shift more units but we’d gamble on Dawes Cycles, with its priorities apparently focused on making bikes for everyday cycling on family budgets, strengthening its position for a good few years ahead in the burgeoning UK market. The Birmingham-based firm has been showing off its 2011 models to the press and while many of the changes are incremental and what you’d expect in the face of a recent VAT increase, there are signs of an improved poise and confidence, especially in the models aimed at enthusiasts. Yes, “family budgets” and “enthusiasts” in the same introduction because although there is no shortage of companies offering exotic machines to the Porsche-owning classes, Dawes do seem to understand that the average keen cyclist needs to balance their hobby expenditure with other priorities like school uniform and family holidays. With the exception of their top Galaxy Twin tandem which breaks the £1,500 barrier – at £1,700 remarkably good value by tandem standards – and an extensive children’s range from £90 – £250, the bikes are grouped strongly and sensibly by function from £400 in a way that normal people will be able to understand in the bike shop. We’re particularly impressed that Dawes is having a go at carefully segmenting the thorny issue of road bikes; the skinny-tyred kind that used to be lumped together as “racers” but which are now the fastest-growing overall sector in most modern British bike shops. 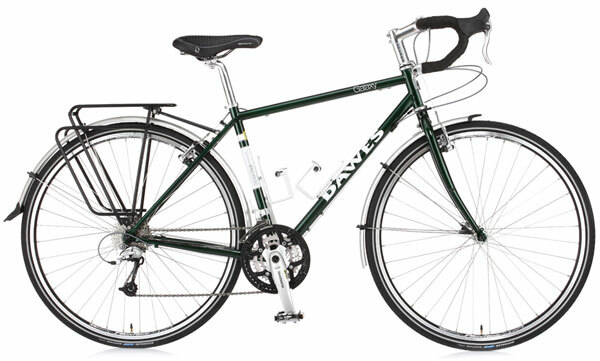 So in the Dawes 2011 range there is a ‘road bike’ heading that includes a slimmed down selection of the ‘Giro’ models from last year; these are aluminium-framed and overtly sporty with no provision for mudguards and racks. Apart from from the single speed Mono which sells for the £650, you could genuinely go racing on them, the top £850 Giro 500 model especially. 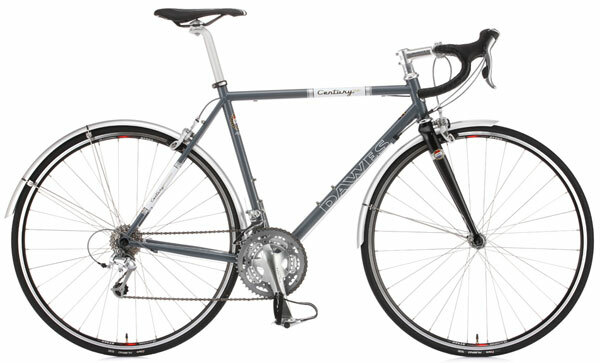 But then there’s the new Audax category, consisting of two models; the £850 Clubman and the Century SE at £1,099, is based on classic Reynolds steel and geared for the rider with a racer’s mentality, flexibility and endurance but the need to carry a bit of luggage. Apart from competitors in Audax events, we think these are going to go down a storm with hardy long-distance commuters as there are mudguards fitted and the looks are as classy as you like if you’re competing in the office showing-off stakes and, of course, the Clubman comes in under the HMRC Cycle-To-Work-Scheme £1,000 threshold. 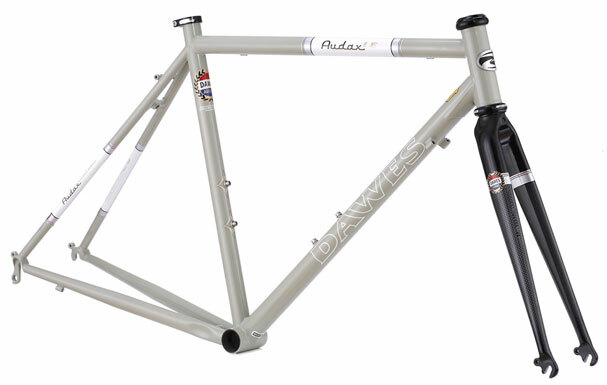 More exciting yet is that the frameset in Reynolds 631 tubing and designated Audax LE for £550 will be available separately for folks who fancy speccing their ideal all-purpose bicycle. Then there are two separate models called Sportif (£650) and Sportif SL (£999) aimed at the fast day rider who wants to sit a little more comfortably on a real, responsive lightweight machine. The frames are aluminium but styled after the latest carbon-fibre bikes with swoopy top tubes and curves seatstays. Clearly, there are manufacturers offering carbon frames on bikes for £1,000 but not with full Shimano 105 components like this SL. The Touring category mostly consists of models well known to their intended heavily-laden, globe-trotting customers, particularly the Galaxy (£1,200), Super Galaxy (£1,400) and Ultra Galaxy (£1,700) although one big change this year is that the frames will come with a modern-idiom sloping top tube and a flexible range of sizes to fit more people. The Galaxy frameset will also be available separately in two guises, the Ultra Galaxy in Reynolds 853 steel tubing for £650 and Reynolds 631 for £550. Almost the range-topper, though, at £1,500 and with flat, European style touring handlebars and either 700C or 26″ wheels is the new Nomad model which marries Galaxy-style touring ability with the brand-new Shimano 11-sp Alfine internally-geared rear hub. Allegedly the same overall range as derailleur gears but all tidily inboard; we’re looking forward to trying that one.